The Mission of the Dover Museum and Depot is to preserve the history and life style of the early settles of New London, Lowell and the surrounding townships. We hope to entice you to visit with us. Our organization also depends upon our patron’s and visitor’s contributions to our museum. Oral history and stories are just as important as objects. 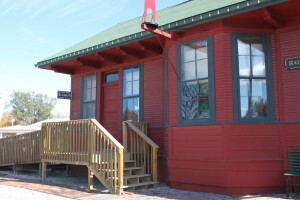 The Depot is handicapped accessible.